Note Include only SGX Mainboard & Catalist Board listed stocks, business trusts and REITs. Note Include only counters with Short Sell Value > SGD50000. The list is sorted according to the Total Short Sell Value in SGD term. For counters that trade in foreign currencies, Total Short Sell Value is converted to SGD according to respective FX rates of the day. Definition Short Sell Volume Ratio is derived by dividing Short Sell Volume with Total Traded Volume. Definition Average Short Sell Price is derived by dividing Short Sell Value with Short Sell Volume. denotes stock trading volume more than 3x of 1-week average volume and more than 3x of 3-month average volume. Short Selling information according to the Daily Short Sell Report available at SGX website. This list is updated daily at the end of each market day. Kindly feedback to us for any discrepancies in data. Important Short sell information shall be interpreted with care and understanding of potential data pitfalls in mind. 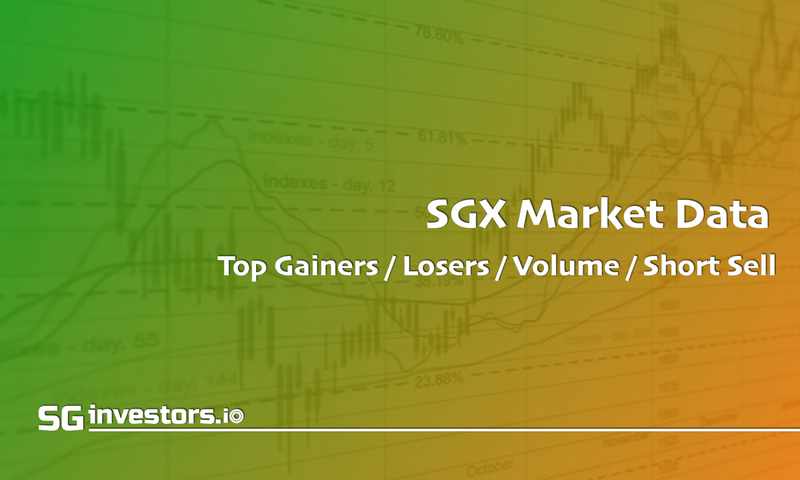 Refer to the Guidelines on Short Selling Disclosure issued by the Monetary Authority of Singapore (MAS) and Frequently-Asked Questions on Marking of Sell Orders on SGX website for more information on short sell orders.